Chicago (June 18, 2015) — MSDSonline, the leading developer of cloud-based environmental, health and safety (EHS) solutions will officially debut its Plan1 first responder information sharing service at the National Fire Protection Association (NFPA) Conference & Expo. Plan1 allows companies to provide emergency response teams with quick and easy access to their unique site-based hazardous chemical inventory information. This streamlined sharing of information helps first responders better assess, plan and prepare for the potential risks associated with emergencies. As part of the Plan1 launch, MSDSonline will host an exhibitor presentation at the NFPA Conference & Expo on June 23 from 2:15 – 2:45 p.m. How the Cloud is Revolutionizing the Way Businesses Share Chemical Information with First Responders, given by Mike Flynn, VP of product development & strategy at MSDSonline, will discuss how the innovative, cloud-based Plan1 service helps mitigate chemical hazard dangers for first responders. MSDSonline created Plan1 in response to growing concerns around chemical hazard communication between its customers (facilities with chemicals) and the first responder community. A taskforce organized around Executive Order 13650 and led by the Environmental Protection Agency (EPA), Department of Homeland Security (DHS) and Occupational Safety and Health Administration (OSHA) recently uncovered that chemical information is often underreported and frequently out-of-date when first responders arrive. Plan1 allows for the real-time, seamless distribution of critical hazard information to first responders, who are all-too-often forced to address emergencies without access to a clear and accurate picture of potential on-site chemical dangers. 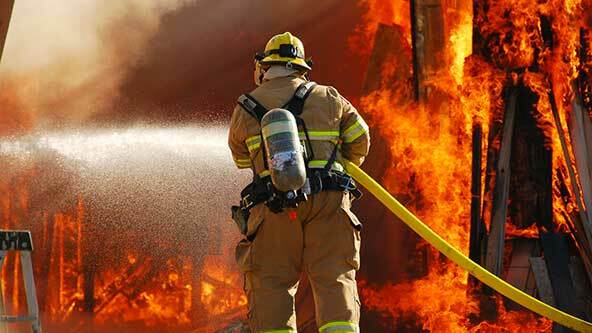 A report released by FEMA in November 2014 found exposure to hazards accounted for 19 percent of all fire-related firefighter injuries reported to the National Fire Incident Reporting System from 2010 to 2012. (SOURCE: http://www.usfa.fema.gov/downloads/pdf/statistics/v15i6.pdf). Safety professionals interested in registering for either webinar can do so by visiting www.MSDSonline.com/resources/webinars. The Plan1 service is currently available at no additional cost to MSDSonline customers. Safety managers using the HQ or HQ RegXR account can simply enter in the local first responder information, and the cloud-based system sends chemical inventory information directly to those contacts. Visit www.msdsonline.com/plan1.aspx for more information. The NFPA Conference & Expo runs June 22-25 at the McCormick Place in Chicago, Illinois. For more information, visit http://www.nfpa.org/conference.